<h2>Recharging soils with carbon could make farms more productive</h2><br /><p>Agriculture has historically been a circular industry where crops use nutrients in the soil to grow&nbsp;which&nbsp;are then replaced through compost or manure. But globalisation and industrialisation of the food supply chain has disrupted this cycle, driving farming practices that have helped degrade <a href="https://www.unccd.int/news-events/better-land-use-and-management-critical-achieving-agenda-2030-says-new-report-0" target="_blank" rel="noopener noreferrer">a third</a> of the planet’s land.</p> <p>Scientists are now looking at ways of tackling this problem with an approach that will not only restore nutrients to the soil but also help to offset the greenhouse gas emissions produced by agriculture.</p> <p>‘Farm land could work as carbon sinks,’ said Dr Jan Mumme, an agricultural engineer at the University of Edinburgh in the UK. ‘This probably wouldn’t work with intensive livestock farming, but sustainable crop production and integrated farm systems (a balance between crops and livestock) could do it -&nbsp;and biochar is one way to help.’</p> <p>Biochar is a substance formed of biomass - such as wood and crop waste, sewage sludge and paper waste - that is heated to 400-800°C under limited oxygen conditions to make a charcoal-like product. This can be then added to soil, where it not only stores carbon, but also interacts with microbes in the soils to improve their ability to capture additional nutrients and soil carbon.</p> <p>Until now, however, biochar has received mixed results when tested for its effects on soils and crop yields.</p> <p><strong>Paper waste</strong></p> <p>‘There are lots of research papers where the authors investigate the effects of biochar on crop yields and there is high range of positive results, but also dozens of studies that showed a negative result,’ said Dr Mumme, who coordinated a research project called CarboPlex, which has developed a biochar product that could help farms capture more carbon in their soil.</p> <p>Research by the CarboPlex team found that biochar can have better effects on soils when it was used in another process first. They developed a material called CreChar, which is made from paper waste and combines carbon and mineral nutrients that can be used as additive in biogas production.</p> <p><img class="@alignleft@" title="Dr Mumme estimates that 60,000 tonnes of CreChar could capture or prevent a total of 619,000 tonnes of CO2 emissions in the UK alone. Image courtesy CheChar" src="https://horizon-media.s3-eu-west-1.amazonaws.com/s3fs-public/IMCEUpload/crechar-crop.jpg" alt="Dr Mumme estimates that 60,000 tonnes of CreChar could capture or prevent a total of 619,000 tonnes of CO2 emissions in the UK alone. 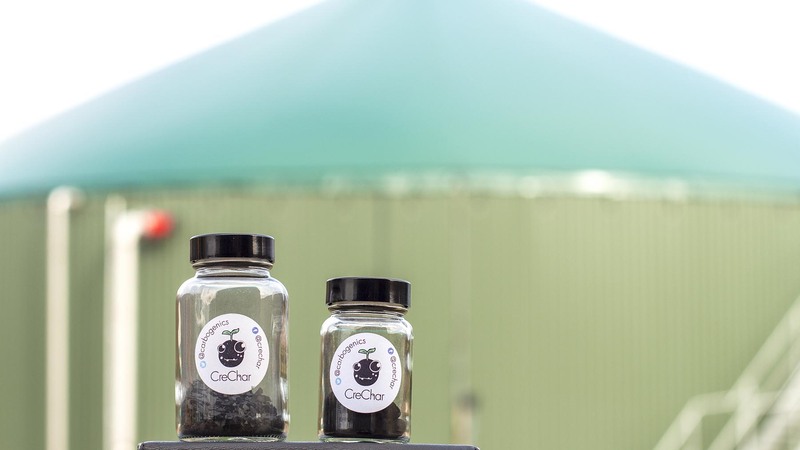 Image courtesy CheChar" width="1800" height="1012" /></p> <p>At the end of the biogas process there is a by-product called digestate that, according to CarboPlex, increases in value from CreChar by absorbing more nutrients. This digestate can then be used as an organic fertiliser instead of mineral fertilisers made by fossil fuels.</p> <p>‘With an annual potential in the UK of 900,000 tonnes of this biofertiliser, I think this could save 60,000 tonnes of carbon dioxide emission just by replacing mineral nitrogen fertilisers,’ said Dr Mumme.</p> <p>What's more, Dr Mumme says that another 619,000 tonnes of CO2 emissions could be avoided in the UK alone each year by reusing 180,000 tonnes of paper waste to create CreChar. Not only would this prevent the incineration of paper waste, it would also encourage the use of biogas instead of fossil fuels and enhance the soil's ability to store carbon.</p> <p> <div class="quote-view quotesBlock quote_horizontal"> <div class="quotesTop"><img src="https://horizon-magazine.eu/sites/all/themes/horizon/images/quotes_top.png" alt="" title="" /></div> <p>'We have many places in the world where we have soil carbon depleting, worsened by climate change.’</p> <blockquote><p>Dr Jan Mumme, University of Edinburgh, UK </p></blockquote> <div class="quotesBottom"><img src="https://horizon-magazine.eu/sites/all/themes/horizon/images/quotes_bottom.png" alt="" title="" /></div> </div> </p> <p><strong>Animal manure</strong></p> <p>‘Agriculture as it should be, or as it was over thousands of years, is the best example of the circular economy,’ said Dr Mumme. A large proportion of the food supply chain in Europe, however, now starts in countries or regions that specialise in mass production of single commodities for export. In Brazil and the US, for example, soy farmers grow the feed for livestock farmers in Europe.</p> <p>‘It is highly unlikely that ship loads of manure (will be sent) back to Brazil or the US so the farmers there produce their soy and other crops with artificial fertilisers made using fossil fuels,’ said Dr Mumme. Meanwhile, in many European countries slurry from animal manure can pollute the local ground water.</p> <p>It is this sort of practice that is depleting soils of their carbon capturing potential because organic waste is never returned to the soil it is taken from. Without this organic material the microbial ecosystems underground are unable to break it down and store the carbon it contains in the soil.</p> <p>But if the agricultural industry could use biochar to help enrich soils for these microbes, it could reduce the environmental impact of the sector, which currently accounts for <a href="http://www.fao.org/news/story/en/item/446335/icode/" target="_blank" rel="noopener noreferrer">a fifth</a> of the world’s total emissions.</p> <p>‘We have many places in the world where soil carbon is depleting, worsened by climate change,’ said Dr Mumme. ‘There is no golden solution, but there are some solutions that are more viable.’</p> <p>It will be a few years before products like CreChar are widely available on industrial scales, but in the meantime farmers can already begin to improve their carbon capturing potential. This requires better farming practices, such as no ploughing, using rotational crops, composting and managed grazing of livestock on pastures, according to Dr Ashish Malik, a microbial ecologist at the University of California, Irvine in the US.</p> <p>‘Some of these practices are already being implemented, but there is just not enough work on the microbial physiology,’ he said.</p> <p>Soil microorganisms act as gatekeepers to the soil – they control the levels of nutrients that plants need to grow by decomposing dead biological material. This process helps to keep soils resilient, productive and increases the amount of carbon they can capture. Having a better understanding how they do this could help to encourage higher uptake of agriculture practices that support microbial activity and their ability to capture carbon.</p> <p>Dr Malik was the coordinator of Terra-Micro-Carbo, a recently completed research project that examined soil microbes across different farms, varying from low to high intensive agriculture practice.</p> <p>The project found in less-intensive farms that had near-neutral levels of pH in the soil there was increased microbial growth and more carbon stored. The story was much more complicated in acidic soils where microbial growth was a bigger constraint on decomposition rates.</p> <p><strong>Communities</strong></p> <p>The researchers also <a href="https://www.nature.com/articles/s41467-018-05980-1" target="_blank" rel="noopener noreferrer">analysed soil microbe communities on 56 different farms</a> and grouped their traits into three key areas – growth efficiency, resource acquisition and stress tolerance. These three traits are combined within a microbial community to efficiently regulate soils and maximise carbon capture.</p> <p>‘It is not just important from the agriculture point-of-view, but also the general modelling prospects,’ said Dr Malik.</p> <p>Terra-Micro-Carbo aims to share their findings for use in climate models to help calculate the carbon storage potential of farms. 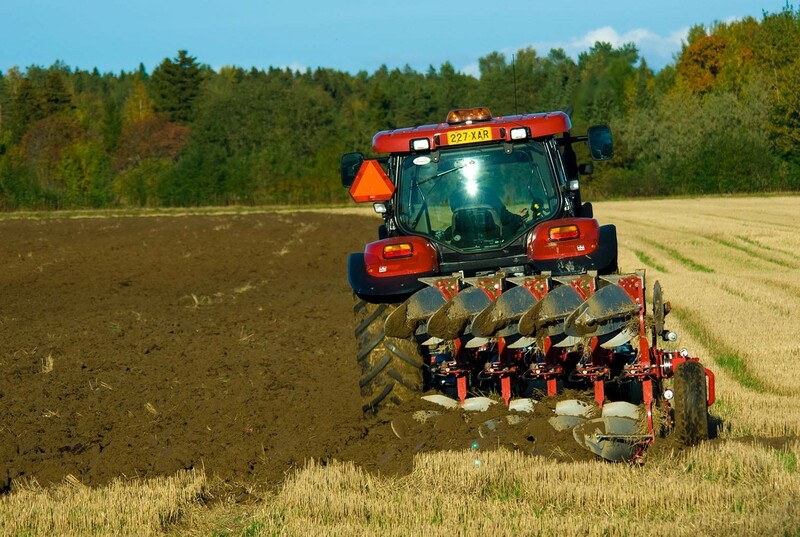 Ultimately, such work could help to direct farmers and policy makers towards decisions that promote more climate-friendly agriculture and so reduce the impact the industry has on the global environment.</p> <p><em>The research in this article was funded by the EU. If you liked this article, please consider sharing it on social media.</em></p> <br /> <img src=”http://www.google-analytics.com/collect?v=1&tid=UA-40077089-1&cid=recharging-soils-with-carbon-could-make-farms-more-productive&t=event&ec=republish&ea=read&el=recharging-soils-with-carbon-could-make-farms-more-productive&cs=republish&cm=republish&cn=republish&cm1=1" /> This post <a href="https://horizon-magazine.eu/article/recharging-soils-carbon-could-make-farms-more-productive.html">Recharging soils with carbon could make farms more productive</a> was originally published on <a href="https://horizon-magazine.eu/">Horizon: the EU Research &amp; Innovation magazine | European Commission</a>. Agriculture should be a good example of a circular economy, but modern farming practices and international markets have changed that. Image credit - Hemmo/ Pixabay. Sloths: how did two different animals wind up looking so similar? Biochar is a substance formed of biomass - such as wood and crop waste, sewage sludge and paper waste - that is heated to 400-800°C under limited oxygen conditions to make a charcoal-like product. This can be then added to soil, where it not only stores carbon, but also interacts with microbes in the soils to improve their ability to capture additional nutrients and soil carbon. What's more, Dr Mumme says that another 619,000 tonnes of CO2 emissions could be avoided in the UK alone each year by reusing 180,000 tonnes of paper waste to create CreChar. Not only would this prevent the incineration of paper waste, it would also encourage the use of biogas instead of fossil fuels and enhance the soil's ability to store carbon.